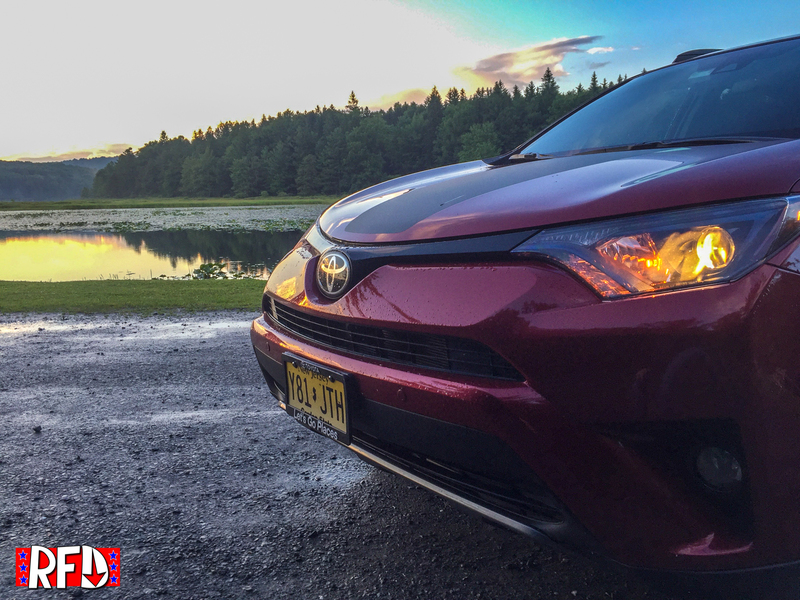 The Toyota RAV4 is a hard vehicle to write about. Not because it’s not good, or too boring to find something to talk about, but because it’s been around so long. 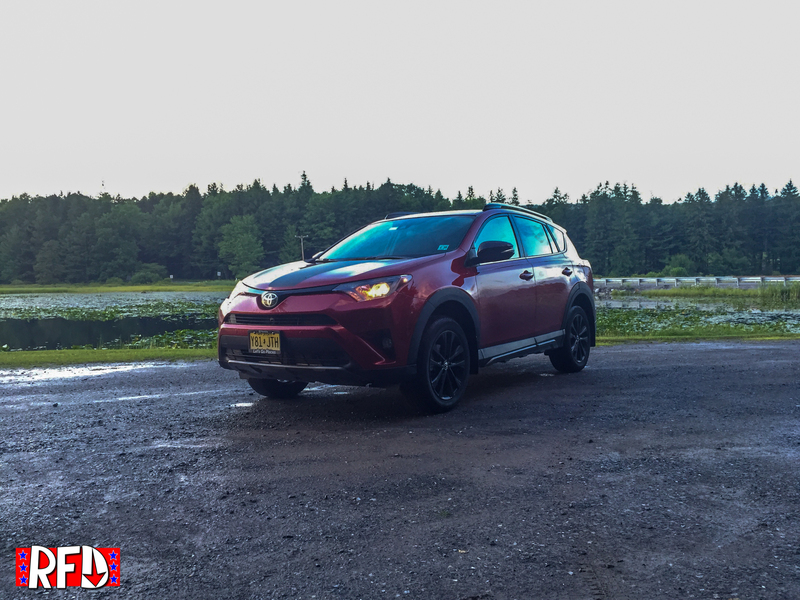 As I recently wrote in my Oversteer column, “the Toyota RAV4 has been in production for 24 years! Next year, it’ll be old enough to rent itself”. Sorry, I just really liked that line. 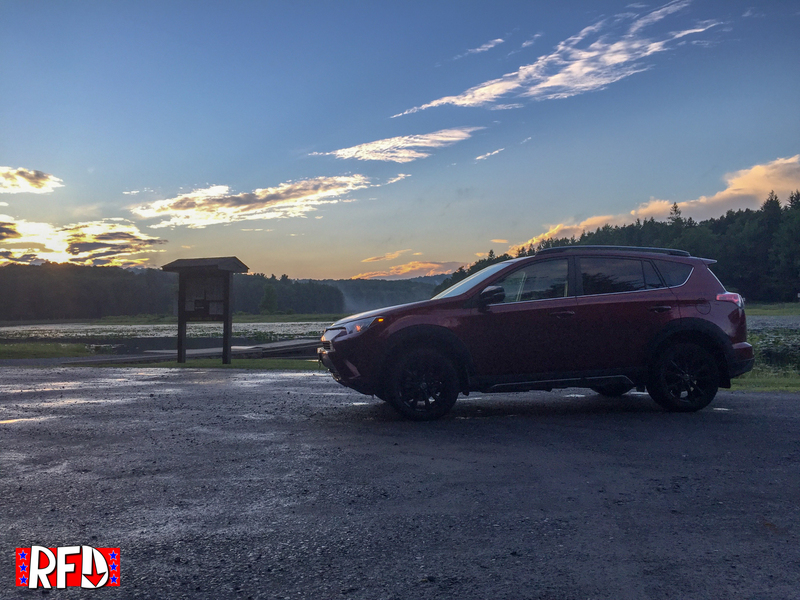 The RAV4 popularized the compact crossover segment but we are a long way from the initial model, which came with a manual transmission. 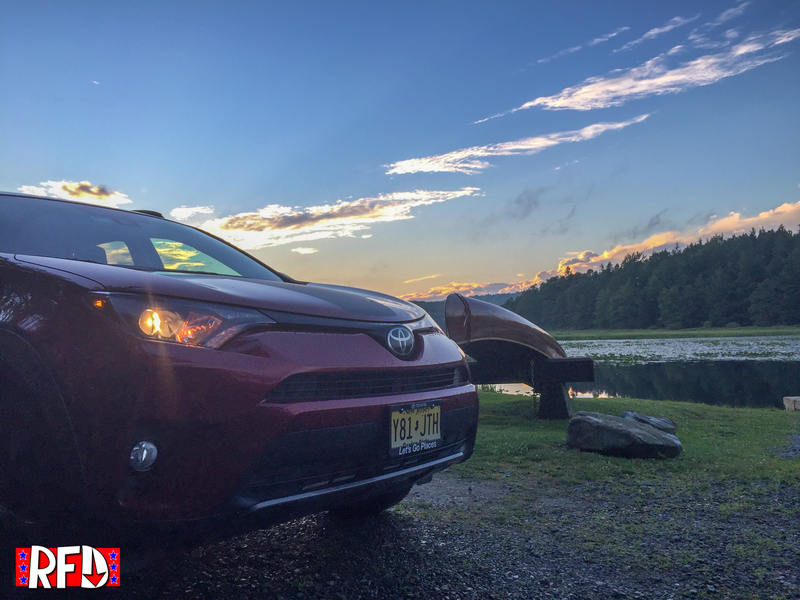 Today, the RAV4 (which stands for Recreational Activity Vehicle: 4-Wheel Drive) is marching into its 5th generation. That new model is due this winter and looks pretty good. 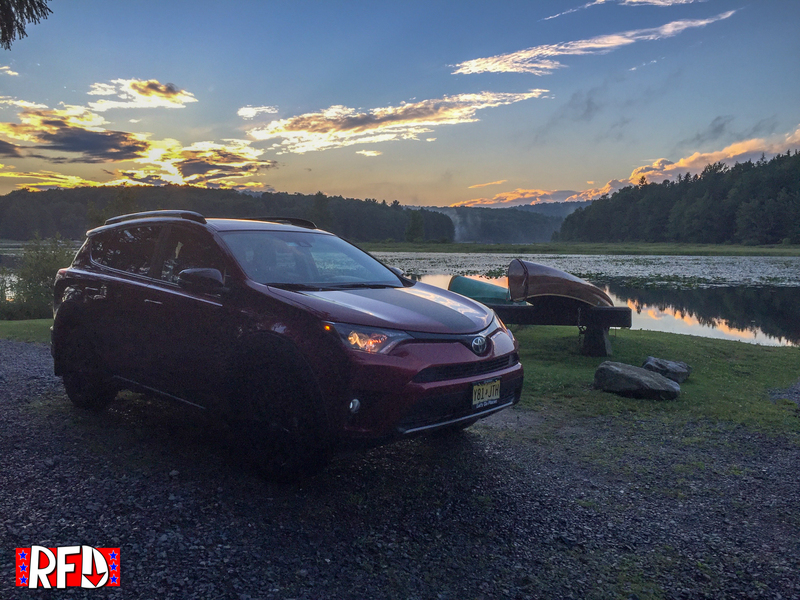 But 2018 saw a new RAV model, the Adventure, which is the very vehicle we got to spend a week with. So, is it any good? I’ll start by saying that this wasn’t a normal test. 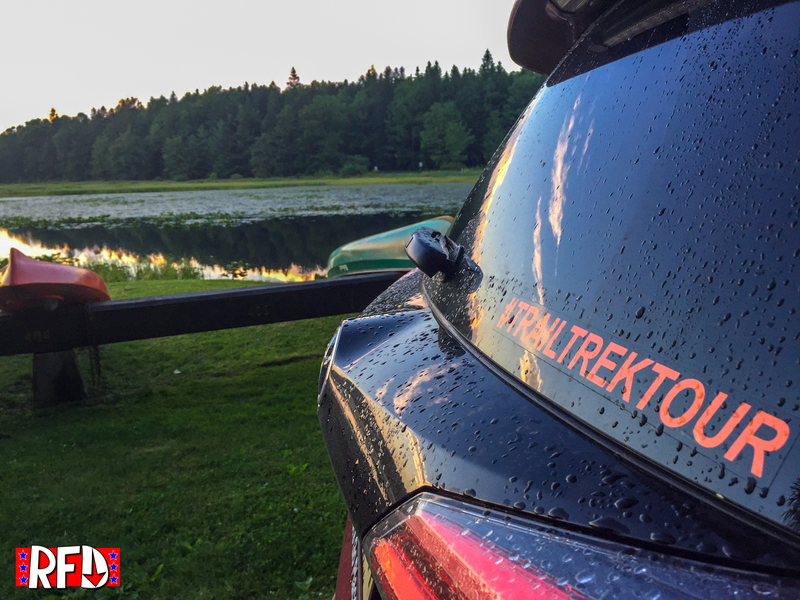 I was honored to be one of the first journalists to participate in the Trail Trek Tour, which pit sponsor-provided Compact Crossovers against each other in an off-road challenge. Each journalist was issued a vehicle, and while I wanted to see us all take ownership of their plusses and minuses on the trail, Top Gear style, we really just got to use them for a period of time. Here, see how things ended up. That wasn’t the end of the story though. 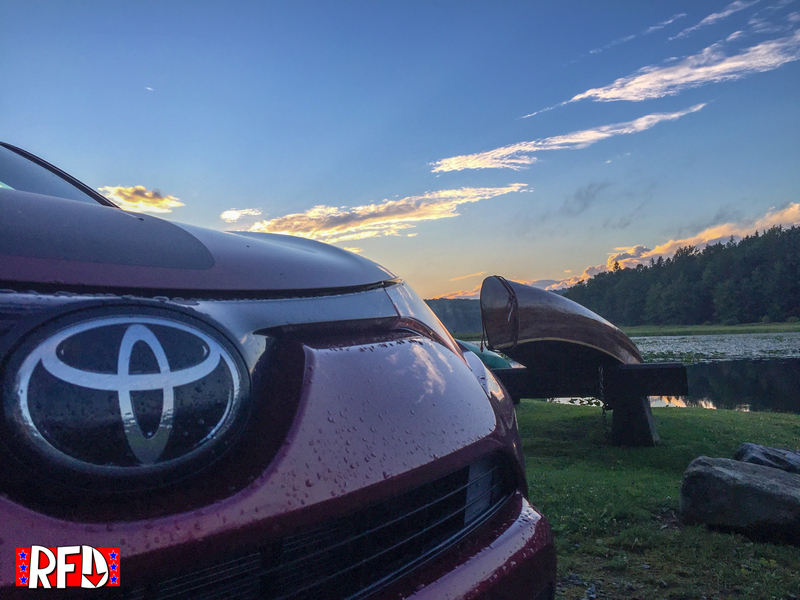 My week with the RAV Adventure was actually a pretty good…errr..adventure. So this isn’t some rock crawling off-roader, but if you watched the video above we were actually pretty impressed with it’s on and off-road capabilities. 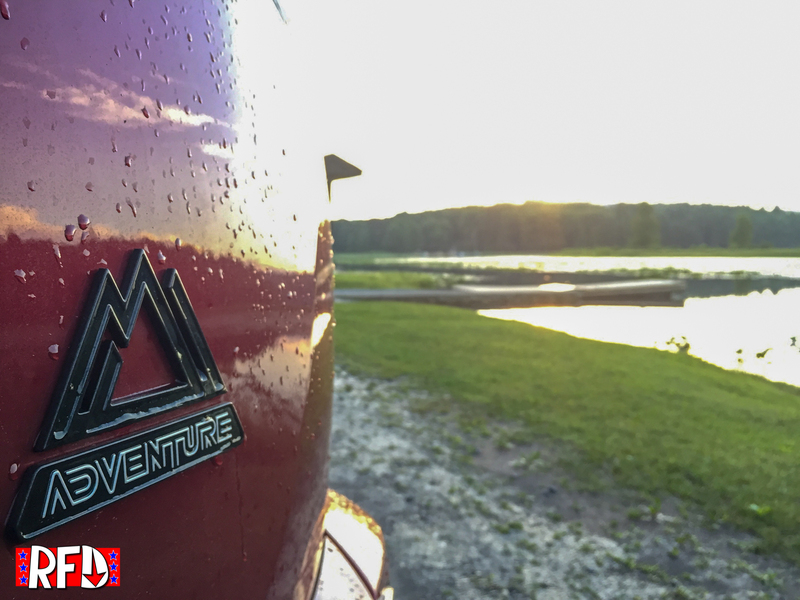 The Adventure was one of the best combinations of ability and comfort we came across all day. 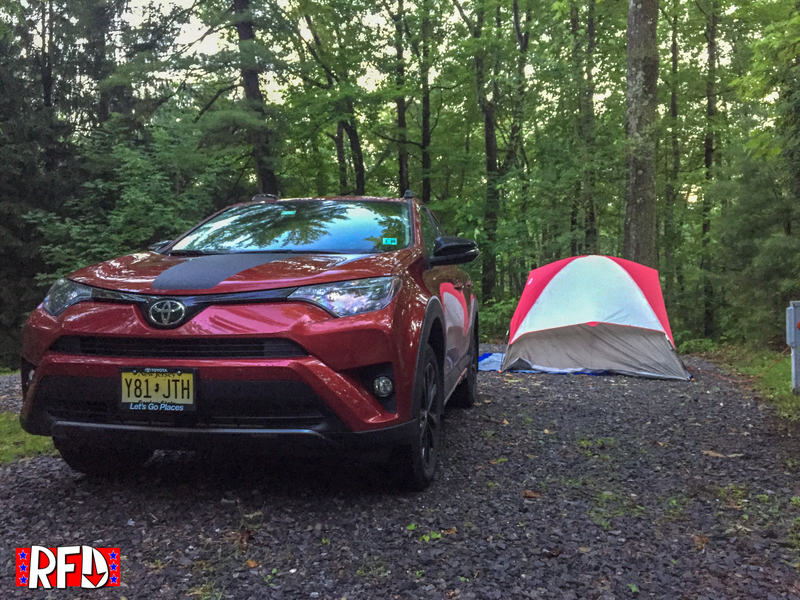 While the ride through the rocky trail in most of the crossovers was firm and jarring, the RAV4 managed to be smooth and settled for all but the rockiest of the terrain. But how does it handle a weekend out in the woods? 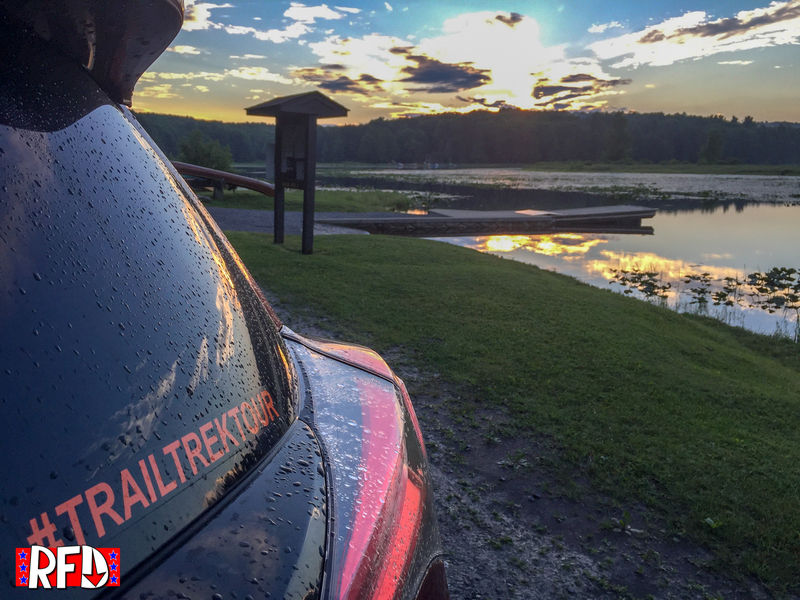 Literally the day after the Trail Trek Tour ended, I was packing up the rear of the RAV to head out for a weekend in Pennsylvania wilderness. It’s about this point in the review that it became pretty apparent why people like crossovers. 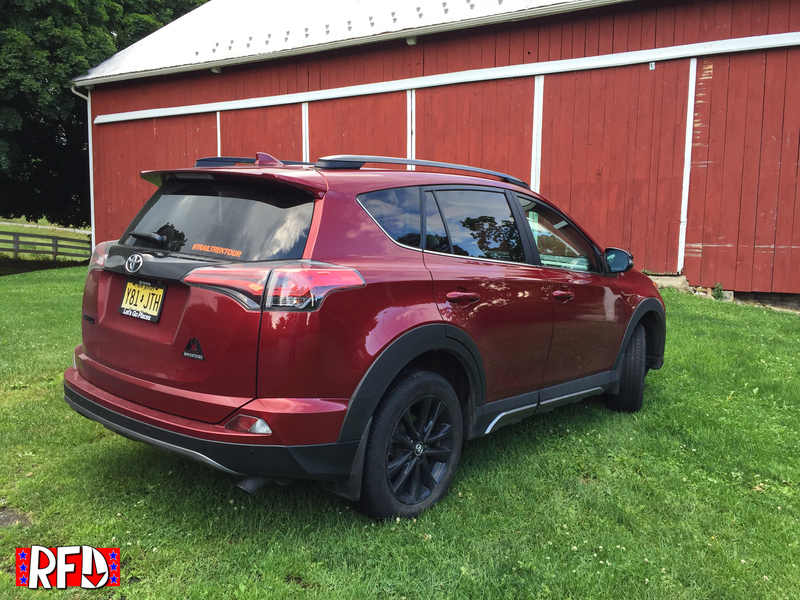 The RAV4 started as a pretty compact SUV, but like a drunk head cheerleader once said “things change Mox”. 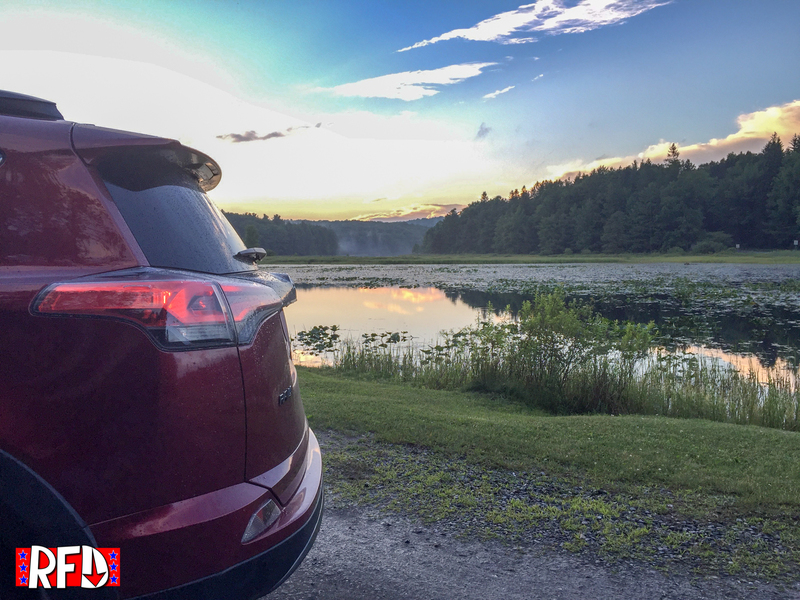 Just about every SUV that’s been on the market has slowly increased in size. 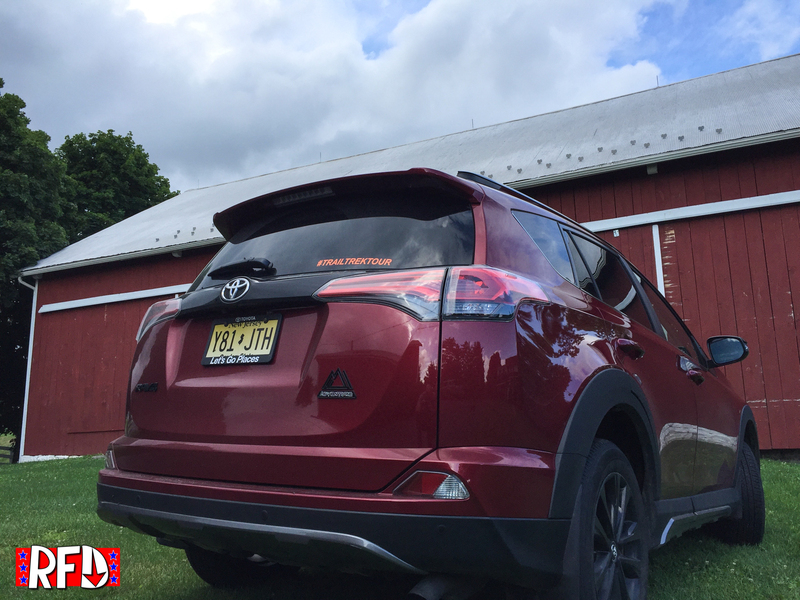 The RAV is no different, and at this point there is a pretty solid amount of room inside. Cargo volume behind front row is 73.4 cubic feet and there is 38.4 cubic feet behind the second row. The photo below was taken just as were finishing taking down the tent (OMG it fit in the damn bag!) and the rain was starting, so it was a little hastily packed. But as you can see, there is a good amount of room in the back of a RAV4. 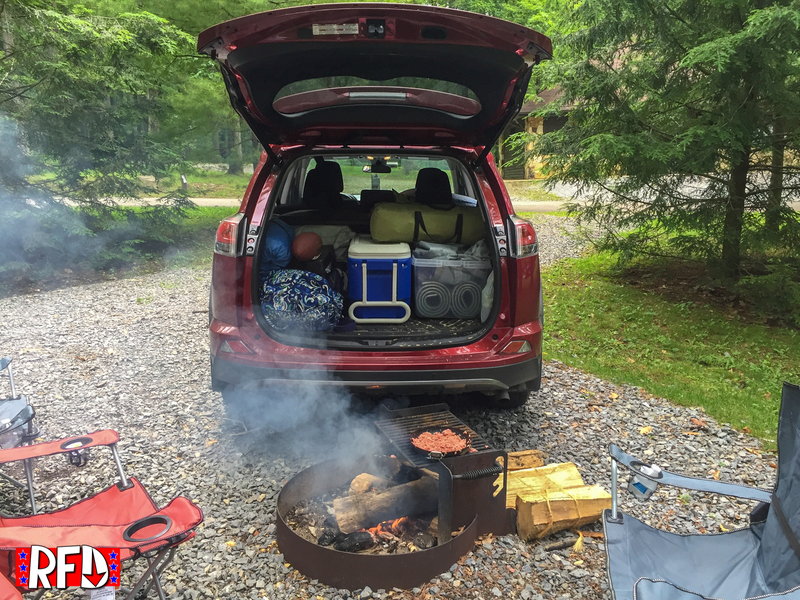 We even used the tailgate as a rain blocker when the rain started. 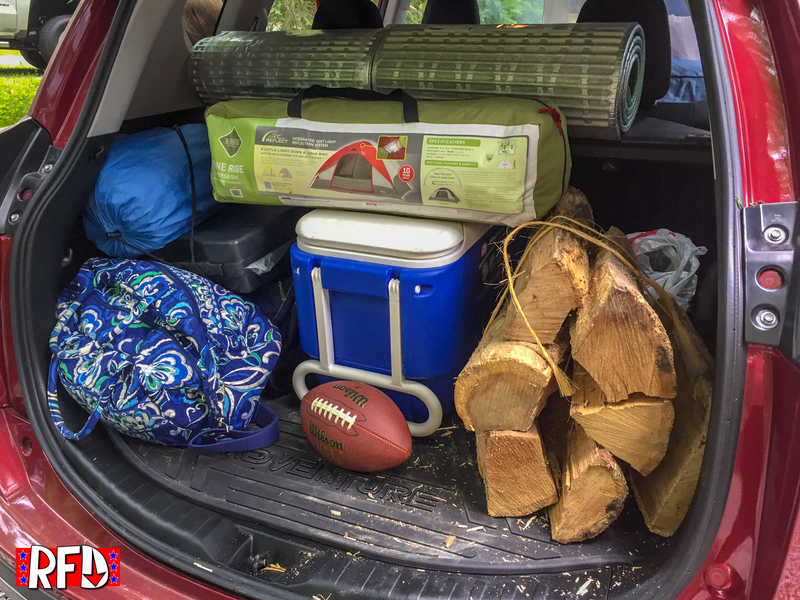 For a family of four, you could easily live with a RAV for most of your day-to-day needs. 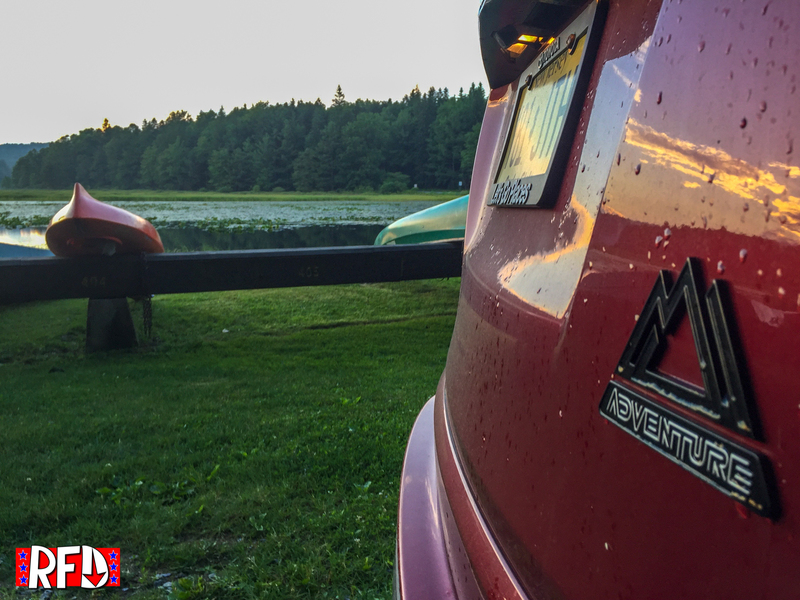 The rest of the camping adventure wasn’t really much of a test for the Adventure, it handled the four hour drive with ease, acting as a comfortable chariot for the kids and I. Here, take a look at some of the glamour shots.